It’s my turn to set the challenge at Daring Cardmakers and I’d like to see cards that go “back to basics” - choose one geometric shape and one primary colour as the focus of your design. You can add other shapes and colours as accents, just use those two basics as the main features. I choose the circle as my shape and red as my colour. 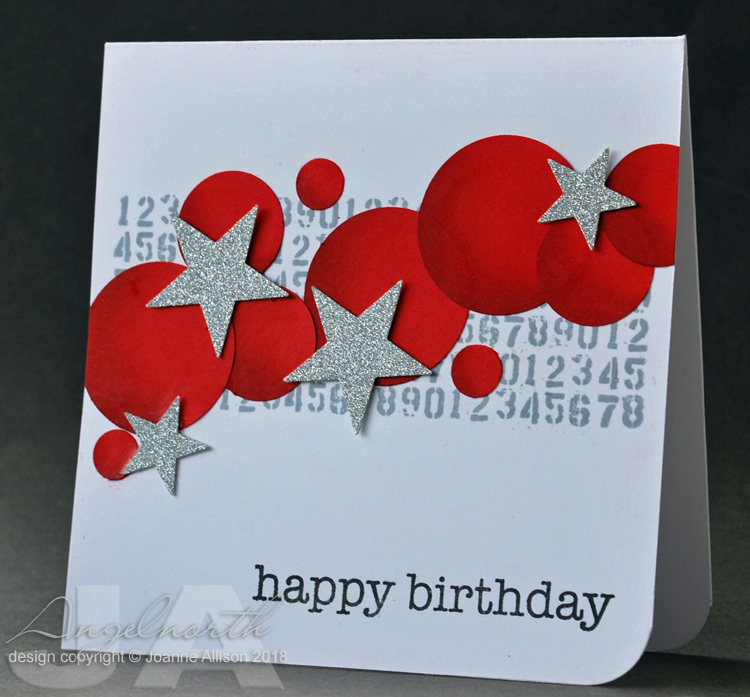 I die cut and punched various sizes of circle from red card and sponged a bit of darker red ink on one side of each then arranged them over a simple stamped background strip. A sprinkle of glittery silver stars and a sentiment finish off a card for one of those pesky “in between” boys (not quite a teenager but no longer a little boy). He's a fan of Man Utd so the colour choice was made for me! 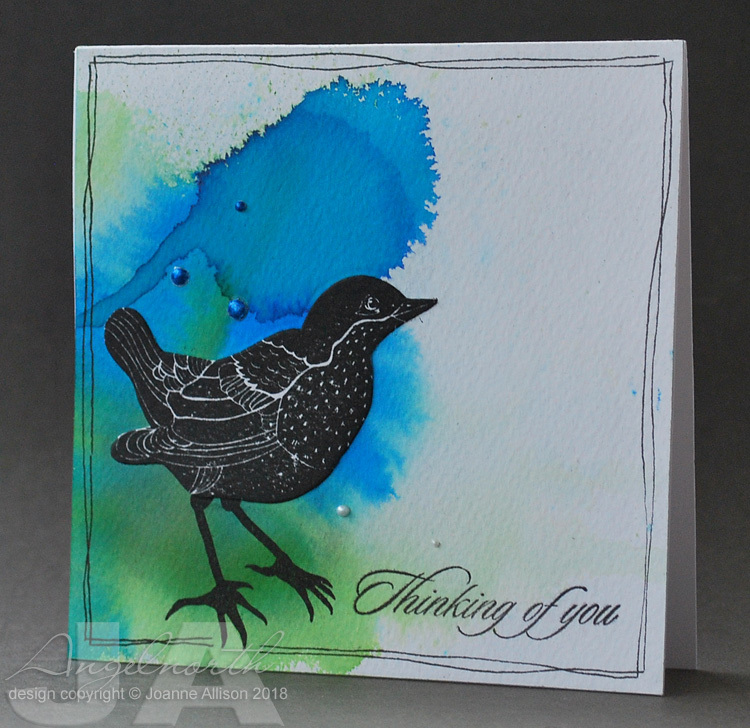 Shabneez has set the challenge for us today over at Daring Cardmakers - she'd like to see some birds on our projects. It could be the focal point or an embellishment, a stamp or a die cut, anything birdie goes! I love the woodcut style of this stamped image. I did have plans to use some of the other elements from the set (flowers and foliage) but in the end he just refused to share the limelight and insisted on flying solo! I dripped inks in colours I hoped would evoke spring and stamped the bird once the ink was dry. I really wanted the etched lines of the image to show well (the intensity of the inks obscured them a bit) but I didn't fancy cutting out his legs! My usual solution is to stamp again on matching paper, cut out the main part of the image and stick over the top of the original stamping. After adding some dots with a pearl pen I decided I'd like the ones on the blue ink to blend in a bit so once they’d hardened I painted over with Precious Metal paint. I’ve had my little pot of the stuff at least eight years and it’s probably a good six of those since it was last open but it’s still totally usable - hooray! 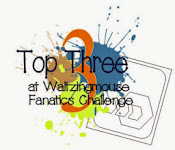 Dawn has set the challenge this week at Daring Cardmakers and she’d like to know a little more about our crafting selves, asking: what is your favourite crafting style or technique? Where do you craft? I found this quite difficult as I don’t really have a single style or favourite way to do things so I tried to zoom in on a few common denominators! I almost always use stamps when I craft and I like to colour in. Floral stamps are a favourite thing to use. I keep telling myself “no more flowers, you have enough” and then something like this pretty magnolia shows up in a sale and I can’t resist! Mum has observed in the past that I often go off the edge with images so obviously I had to do that here. I tend to use minimal layers; even if something is not necessarily a clean and simple design it’s unlikely to involve more than a couple of layers and I’ll often use just a card base, as I have here. I often round a single corner of a card, too. I really enjoyed using a single die cut word with stamps to complete the sentiment on my Christmas cards this year so I thought I’d try extending that idea to other occasions. This Hero Arts set has lots of options to go with the ‘happy” so hopefully I’ll get plenty of use out of it. I’m lucky enough to have a room to craft in. On the down side that does mean that it’s often a complete mess because I don’t have to clear up after myself as a I go! Can you believe it’s a new month already?! 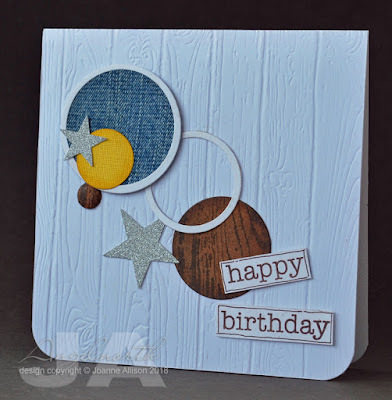 That means it’s time for an “elemental” challenge at Daring Cardmakers - choose at least three elements from the picture Miri has for us this month as a kickstart for your card. I really struggled with this! In the end, I put an extra restriction on myself and that seemed to do the trick: make it masculine (or at least not girly)! I chose the dark wood grain (floor bottom left), denim, flash of yellow, circular frame (chair backs bottom right) and silver accents (chair legs bottom left). I carried the wood grain patterning over into the embossed texture on the base layer as well. Pine planks embossing folder by Stampin Up! Thanks for stopping by! 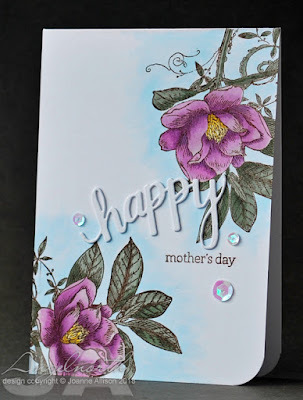 We’d love to see you over at Daring Cardmakers and the team has made lots of lovely samples - looks like it was just me who struggled! 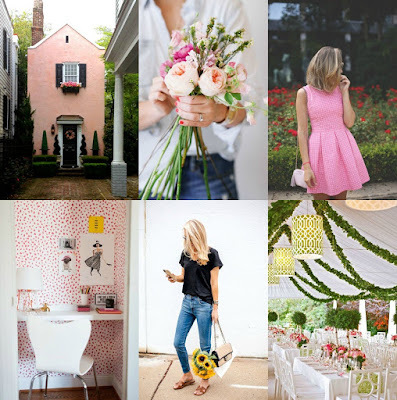 Here's Miri's inspiration picture if you'd like to show us what you make of it - which three elements inspire you? !